Hello everyone! 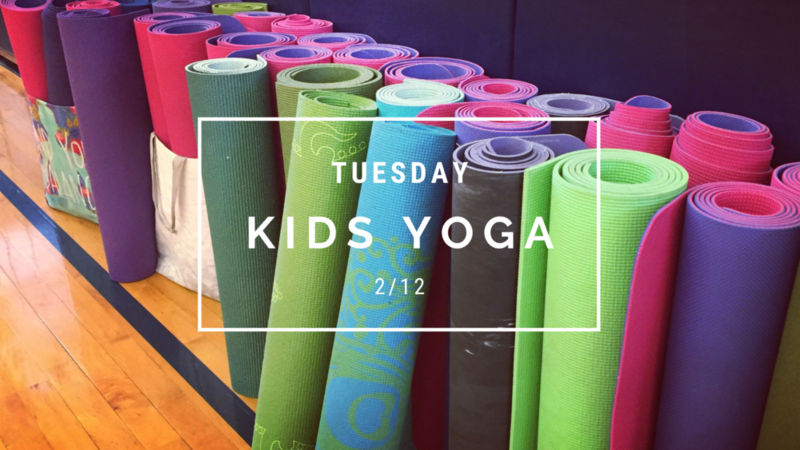 This week’s schedule includes many classes — in the studio, at school, at Rec Centers and more. Plus, our special Winter Break classes are listed below! See you at yoga soon! 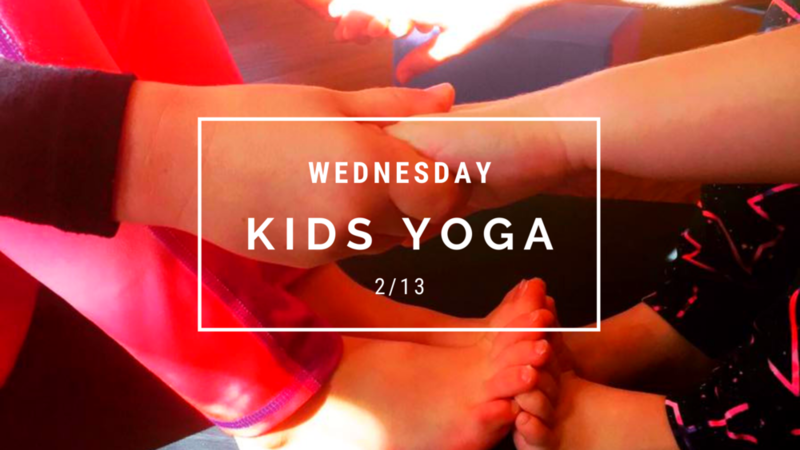 CLASS: Ages 3-5 at 10:00 - 10:45am (Penfield). Enroll here. YOGA AT SCHOOL at 1:00pm. Preschool enrichment. YOGA AT SCHOOL at 3:00pm. After school yoga. CLASS: Ages 5-12 at 6:00 - 7:00pm (Fairport). Enroll here. CLASS: Restorative Yoga with Christy Lesher at 6:00 - 7:00pm (Fairport). Enroll here. Don’t forget about our 1 Adult + 1 Free Child pass ($15 total). Make it a yoga night for everyone! CLASS: Ages 3-5 at 9:30 - 10:30am (M/Body). Enroll here. Take an M/Body Barre or Circuit class for yourself at the same time! Click here for M/Body passes. YOGA AT SCHOOL at 10:00am. Preschool enrichment class. CLASS: Ages 3-5 at 10:00 - 10:45am (Victor Rec). Enroll here for our next session (2/28 - 3/28). No Perinton Rec class this week. See you next Friday, 2/22! Enroll here for our next Perinton Rec session (3/8 - 4/5). CLASS: Ages 4-8 at 10:00 - 11:00am (Perinton Rec). Enroll here. CLASS: AGES 4-8 at 9:30 - 10:30am (M/Body). Enroll here. CLASS: Ages 8-13 at 6:00 - 7:30pm (Fairport). 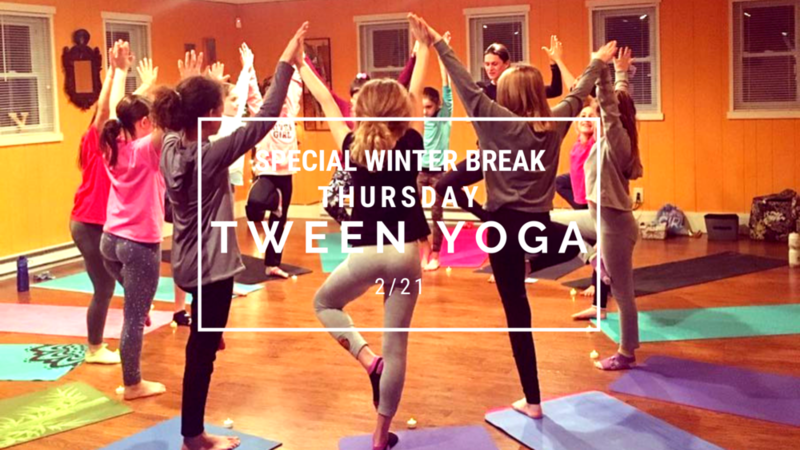 Tween yoga + partner pose fun! Enroll here.